Assynt and neighbouring Coigach make up a truly extraordinary landscape. A vast, undulating moorland is studded with a maze of a thousand fresh-water lochans. Up from this rise a series of remarkable mountains. Although not high in altitude, with only two Munros amongst them, these peaks are very steep and completely separate from one another, and are eroded into fantastic, individual shapes, making this one of the most memorable landscapes in Scotland for hillwalkers. The coastline is equally beautiful. There are cliffs, impressive sea stacks, and a whole series of stunning sandy beaches. The fishing port of Lochinver is the main settlement in Assynt, whilst the scattered crofting community of Achiltibuie - overlooking the Summer Isles - marks the rough centre of Coigach. Our authors have written three very different portraits of Assynt in our magazine section; Assynt's Rare Animals by Linda Cracknell, Dreaming of Assynt by Cameron McNeish, and Adventure is Not Enough by David Lintern. 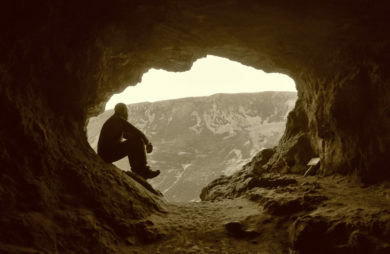 Ben Dolphin explores the fascination of the Bone Caves. "It’s wonderful when a place surprises you, when something you think might just make an interesting diversion actually turns out to be something extraordinary, something revelatory. 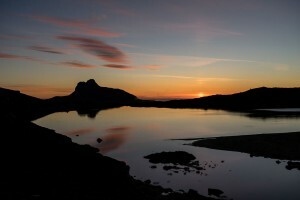 Perhaps even something profound..."
David Lintern reflects on time spent in Assynt. "One of the most intriguing things about a few days solo backpacking… or in this case packrafting… is the joining up of thoughts seemingly unconnected. The ebb and flow, a continuity of activity that connects the otherwise disparate..."
Cameron McNeish is transported to the fabulous landscapes of Assynt by a map. 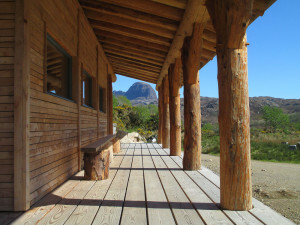 "SEVERAL nights ago when the temperature dropped to unusually low levels even for this poor summer I put some logs on the wood burning stove, poured myself a large dram and settled down to read..."
Linda Cracknell explores the human side of Assynt. 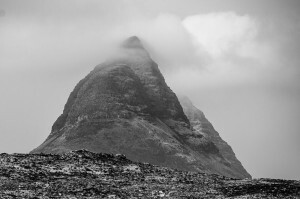 "In May this year I climbed Quinag for the first time. I had saved its magnificence for such a day; recently raucous south-westerlies had stilled and cloud flurried high above the summits..."
Visit Assynt and the surrounding area and take home much more than a memory. AssyntWear has a wide range of T-shirts, hoodies, mugs and much more to offer!